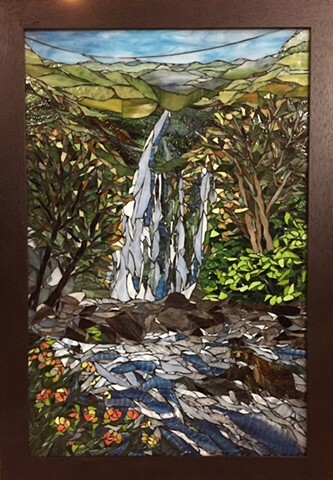 Commissioned mosaic with a waterfall, a bear fishing, birds, fish and lots of greenery. This is a great example of ways to add wildlife to a landscape. I especially like the bear with the fish. Thank you!